The Graveyard of the Atlantic Museum has been authorized by Congress and is a 501(c)(3) public, non-profit, educational institution. 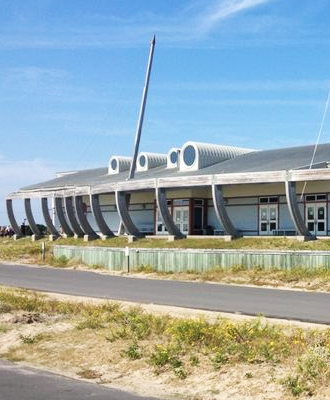 The National Park Service has dedicated seven acres of its land in the Cape Hatteras Seashore for the Museum site. You can help the Graveyard of the Atlantic Museum preserve one of the most dramatic chapters in American and International Maritime history. Act now to help build the museum, enhance collections and exhibitions, and further its role as an educational institution. Invitation to Members Only previews. 10% discount in the Meekins Chandlery Museum store. Advance notice and discounts on workshops, lectures and special programs.